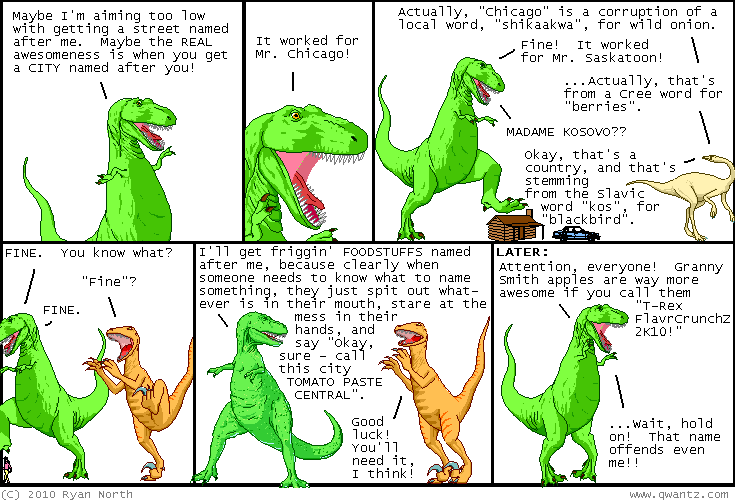 Dinosaur Comics - February 4th, 2010 - awesome fun times! –The serfs certainly dropped the ball on that one! Tons more here, you guys! You could read for literally... hours? One year ago today: over two years ago i had a comic that ended with "warning: the preceding erotica was extremely sexually charged". I SAY THIS IS DIFFERENT ENOUGH TO STILL BE FUNNY. I LAUGHED. I LAUGHED AT MY OWN JOKE. YOU CAN TOO IF YOU WANT?? ?